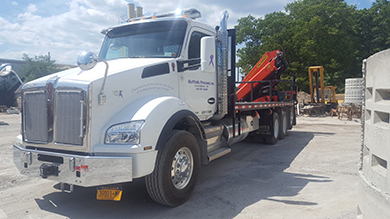 Suffolk Precast donates a portion off all deliveries from this truck to our Coalition for Women's Cancers at Southampton Hospital. Please make checks payable to: "Southampton Hospital Foundation" with a notation in the memo: "CWC"
The Tax identification number for the Coalition for Women's Cancers at Southampton Hospital is 11-3466516. Check out our Newly-Ronovated Thrift Shop! After undergoing renovations, our Thrift Shop has reopened and is ready for customers with hundreds of new, gently-used additions to the inventory. 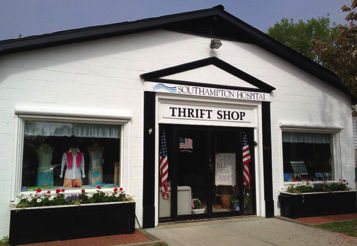 From quaint birdhouses and colorful collectibles, to vintage china and cutlery, there's something for everyone at the Thrift Shop. All proceeds currently benefit the Coalition for Women's Cancers at Southampton Hospital. The Shop is located at 40 West Main Street in Southampton Village, directly behind Herrick Hardware, and is open 9:30 a.m. to 4:00 p.m. Monday, Tuesday and Thursday, and 9:30 a.m. to 5:00 p.m. Friday and Saturday. It is closed Wednesdays, Sundays and some holidays.æ Please call 631-204-0526 for more information.